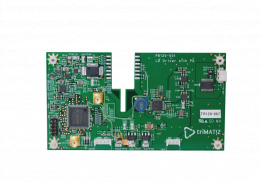 Trimatiz new LaserDiode(LD) driver board can deliver signals with pulse-width shorter than 5ns. The pulse-width can be adjusted by a signal generator installed on the board. The stabilization of the laser is assured by controlling its temperature with the use of a Peltier cooling component. 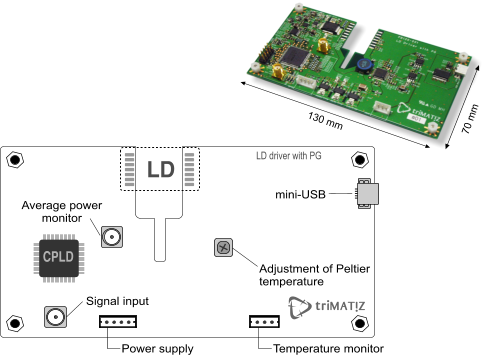 ・A built-in temperature control circuit(the temperature can be adjusted directly on the driver board). ・Graphic User Interface(GUI)to control the main characteristics via the USB port.